Yoga Trade is the vision of Erica Hartnick, Patrick McMahon, and Christie Carr, three surfing yogis who have experienced first hand the need for this type of online community. McMahon and Carr run a sustainable farm and yoga retreat center in southern Costa Rica called Yoga Farm, and understand the value of connecting with qualified yoga teachers and volunteers. Hartnick has been traveling the world for several years teaching yoga and is a returning volunteer and guest teacher at the retreat. “After teaching and traveling all over the world, I recognized the need for an online job network dedicated yogis,” states Hartnick. “It’s all about developing relationships and cultivating the experience of global adventure and travel to better yourself.” It just seemed natural for these three friends to create Yoga Trade, and their hope is that it connects yoga practitioners and organizations worldwide while inspiring people to follow their hearts. Yoga Trade benefits everyone in the yoga community and the opportunities are infinite. Members can sign up as host organizations, teachers, or students. They can then create profiles and share their qualifications, personal experience, or details of their organization depending on membership type. Everyone is able to add both new opportunities and events, all which are easily searchable by date, location, and category. Common posts include work exchanges with hotels, volunteer openings at sustainable living centers, writing and photography job opportunities, yoga festivals, trainings, and retreats. People are finding new and creative ways everyday to get involved with this exciting new resource. The best part of all, it’s completely free! 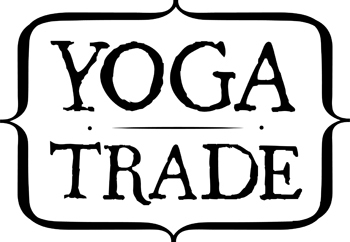 Yoga Trade is a new and empowering online network for the yoga community. The website connects instructors, students, and organizations around the world. Post and search for yoga jobs, work exchange gigs, and travel opportunities. Plan, promote, and manage events. Build a following and stay connected wherever your path takes you.